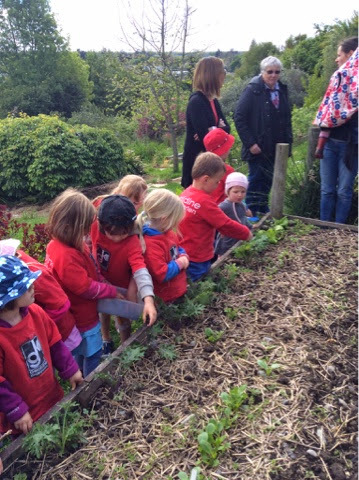 Today for Nohonga tahitanga/Establishing a Sense of Community, some children visited Sienna's garden to learn more about sustainable living, in particular composting. 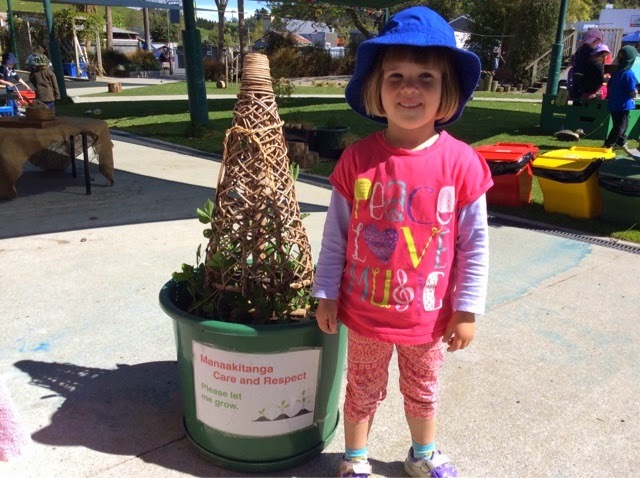 Sienna's Mum, Rebecca talked to the children about the kinds of things we could put in our compost, what broke down quickly and things that took longer or not all. 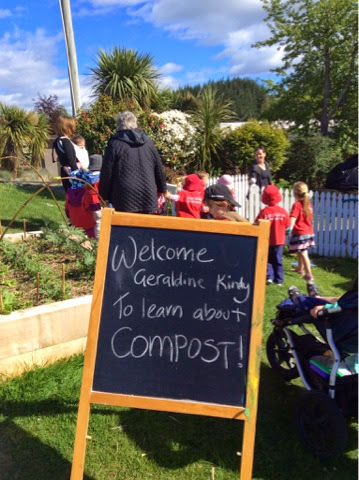 This is useful information for us as we have just started our own composting system at Kindergarten. 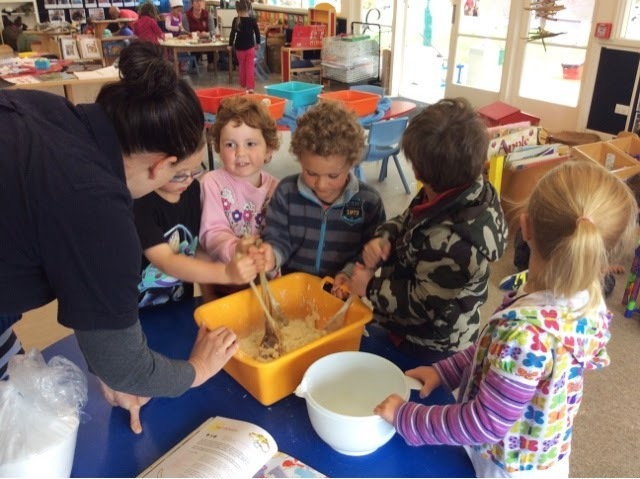 We greatly value families sharing their knowledge from home with us as this builds strong whanaungatanga/relationships and is very empowering for children. 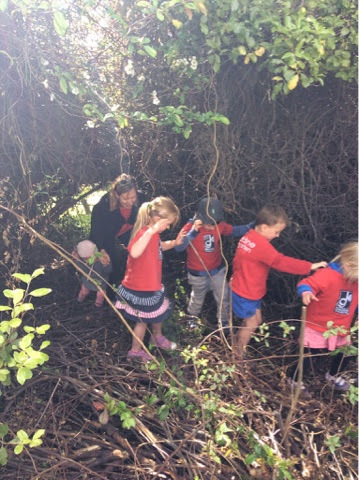 There was also a chance to explore the rest of Sienna's garden, which was very much like exploring Out the Back at kindergarten! We would reallyappreciate some small containers of fresh food scraps to get our compost bin kick started. Talk to a teacher if you bring some in and we can show you where our compost bin is. Tino pai, That would be great! 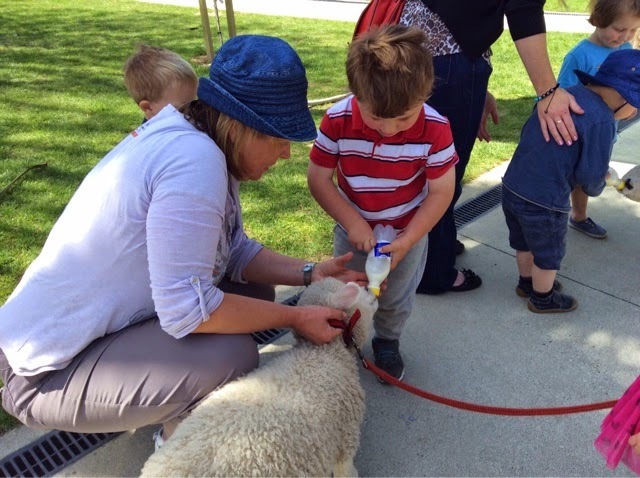 This week Jacob bought two lambs to kindy! 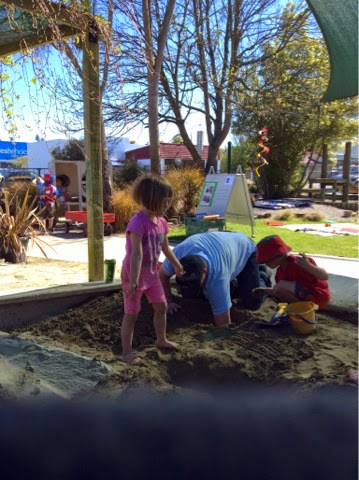 This was a lovely opportunity to practice Manaakitanga , care and respect. 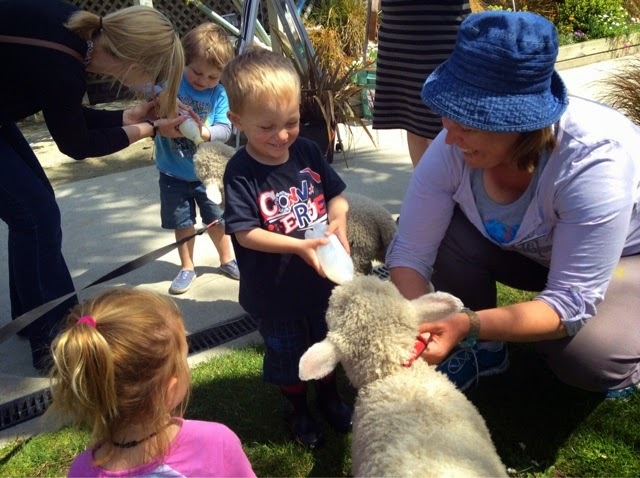 The children had to be gentle when patting the lambs and feed them carefully. Ka rawe, how lovely. 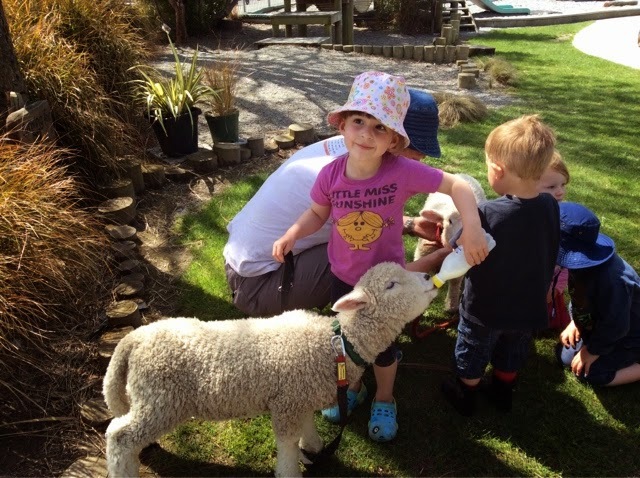 Some children have lambs at home as well that they are feeding so making these links between home and kindergarten helps children devlop a sense of Belonging. They can pass on their knowledge to others who may not have had this experience before, making them a kaiako, a teacher. 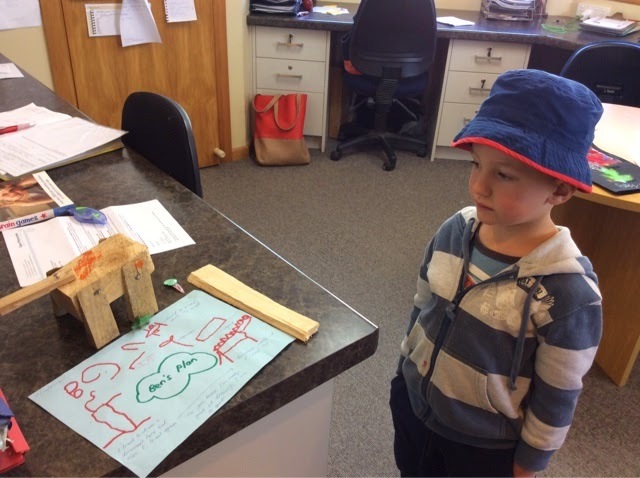 When children or teachers have an idea in mind, we create plans. 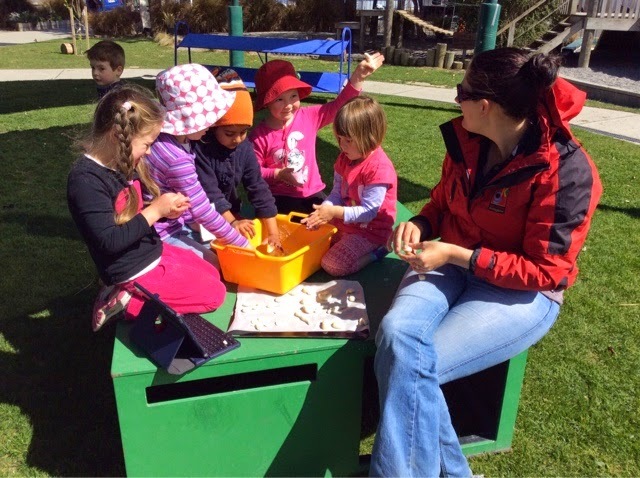 As teachers, we guide children through the plannning process as this is where rich learning experiences occur. 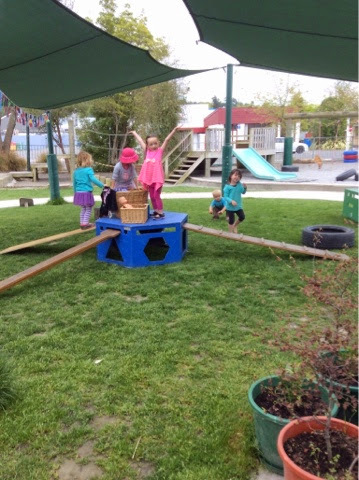 A plan creates opportunities for conversations, literacy skills, thinking creatively and problem solving. Today this was extremely evident, as three separate plans were produced during the morning. 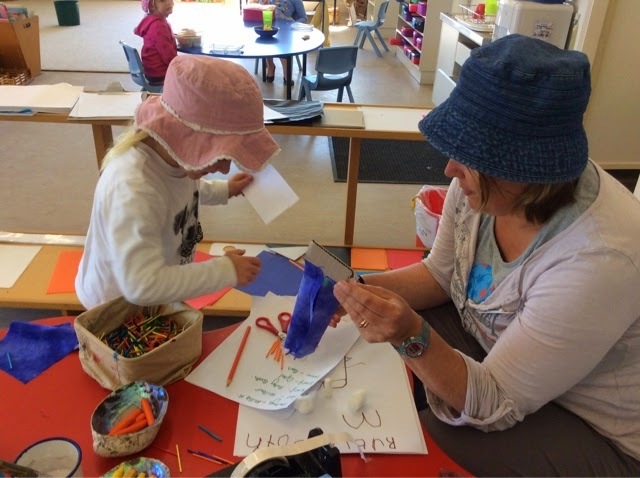 The Home and Kindergaten Committe is organising the Scarecrow Trail this term and so today with our student, Janet, we began planning some ideas. 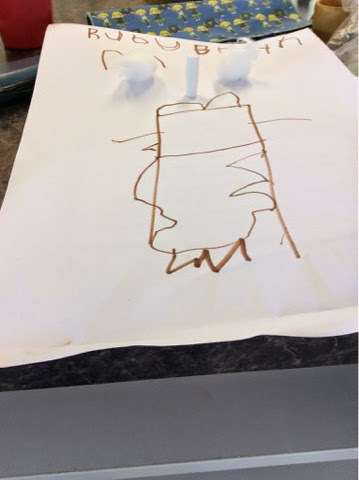 Creating a list of what we might need and then drawing some ideas about what our scarecrow could look like. 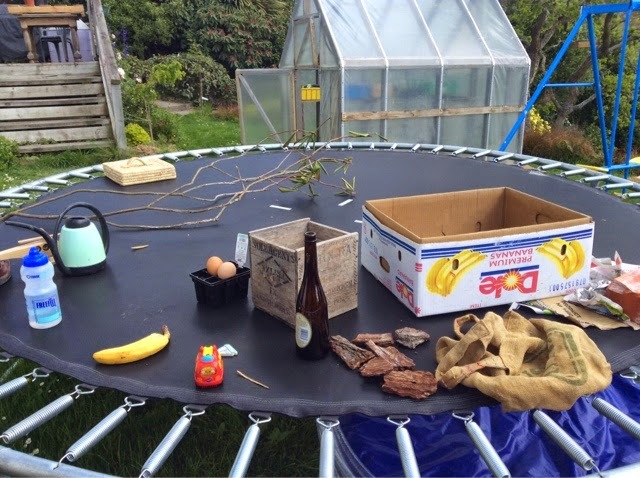 The carpentry table also provides opportunities for creating a plan before even picking up a hammer and nails. We often have some amazing creations appear with some careful planning before hand, including this dinsoaur that appeared today! The next stage of the plan will be completed tomorrow, so this dinosaur is spending the night safley tucked away in the office. 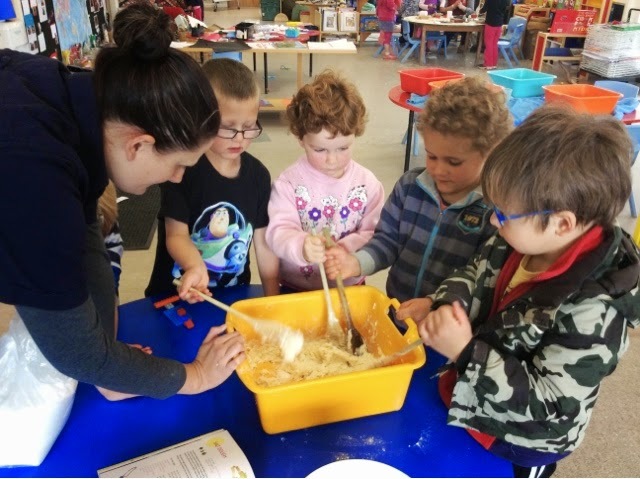 It's important for children to have the opportunity to continue and expand on projects they start at Kindergarten, as this extends their creative thinking. The third plan that was formulated today was based around baking. 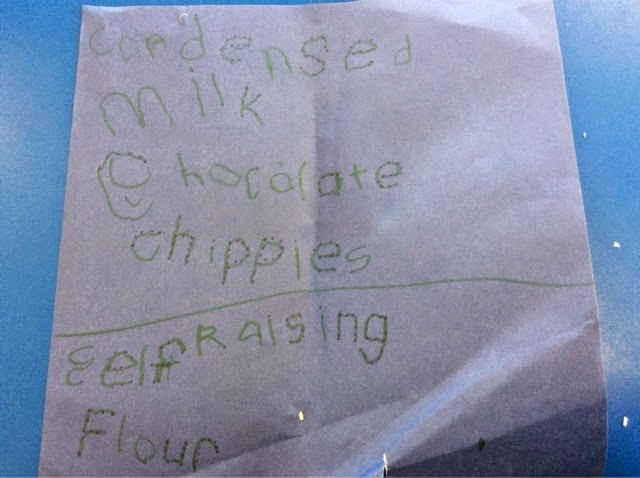 The fridge and cupboards were checked for ingredients and then a shopping list was created for what was missing. We are looking forward to tasting these yummy biscuits! We are also currently brain storming and planning ideas for the new outdoor area which is part of our long term strategic plan. 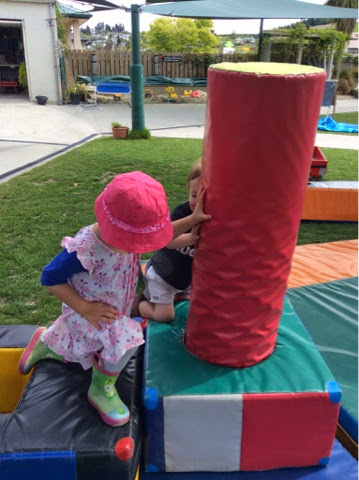 You may hear us talking about this at mat times as we gather information from the chidren as a group during this time. So many plans, so much to do, exciting times ahead! 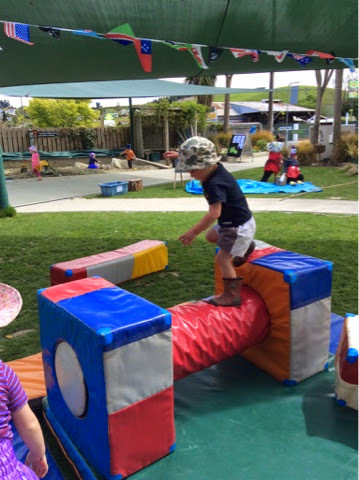 This is great, he rawe tēnā! 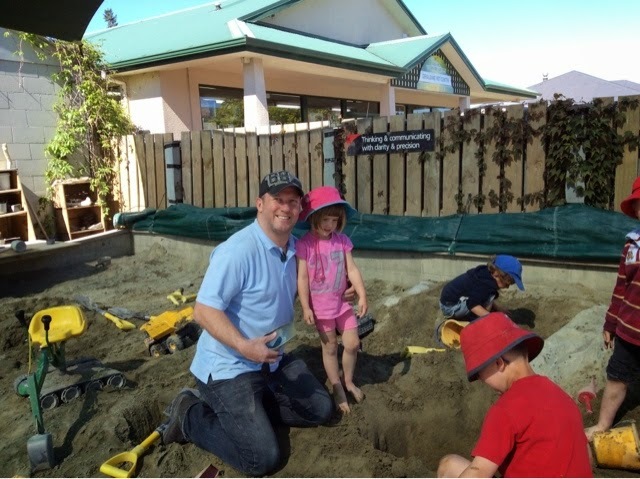 We really enjoy visitors that come to Kindergarten and it is really special when Dad's get an opportunity to spend the morning with us. 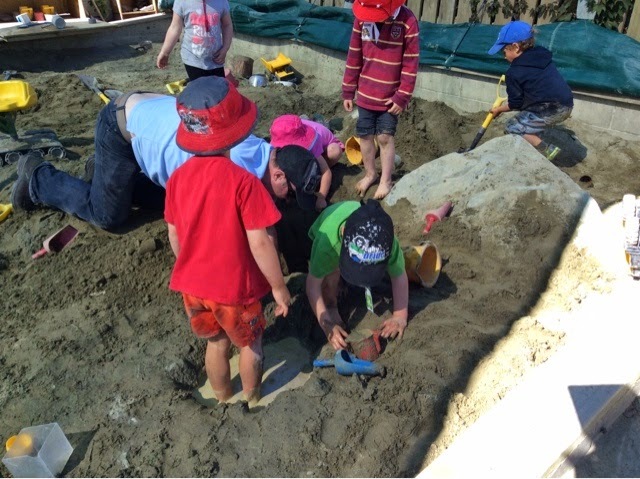 Jamie found himself in the sandpit and the children wanted to dig holes and Jamie exclaimed that they were 'fox holes'! 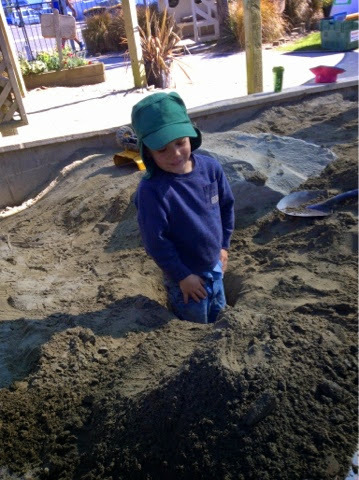 As the play continued the 'fox holes' became giant holes. 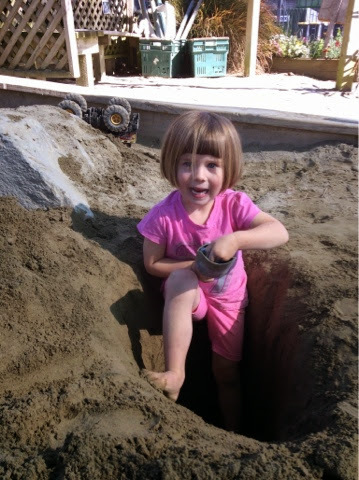 Violet hopped in! 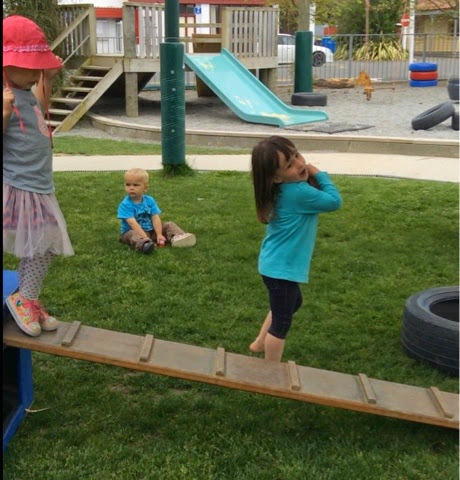 Children measure depth and space with their bodies by getting into the hole but also seem to be aware that foxes don't live in Aotearoa. 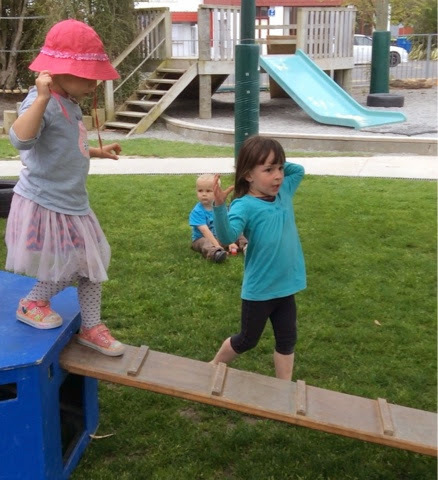 What a tumeke morning Violet and her Dad had and it was evident that the pleasure was about doing things together especially those who are close to us. 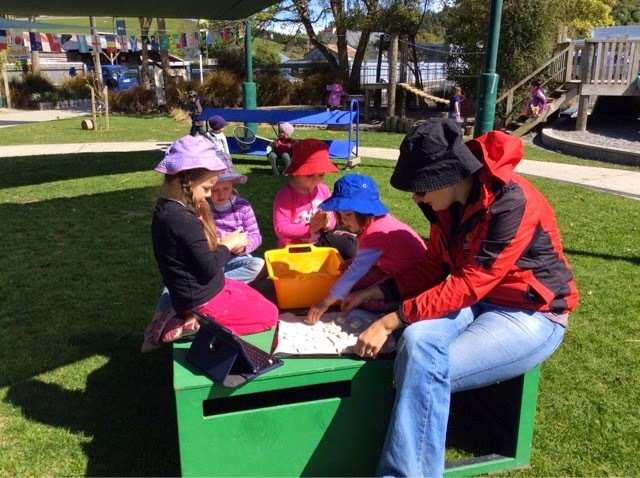 This links with the principle of familly and community that guides our early childhood curriculum and welcome all contributions from whānau mā. Brownie and Silky go on holiday! ...Silkie and Brownie came to stay with Ben and Josh over the holidays. 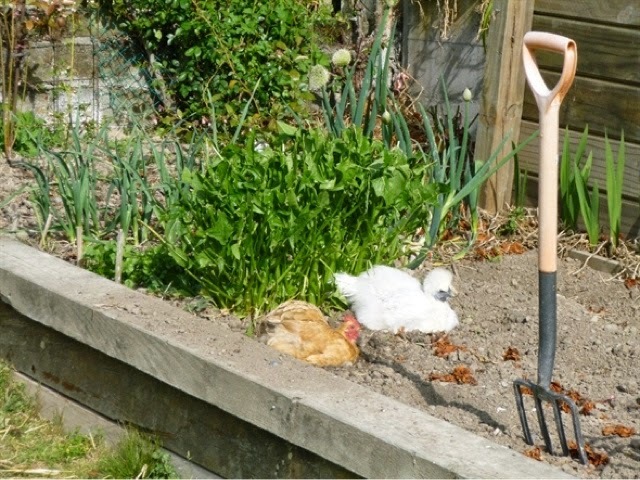 We let them out each day to have a look around and they loved having dust baths in the garden. 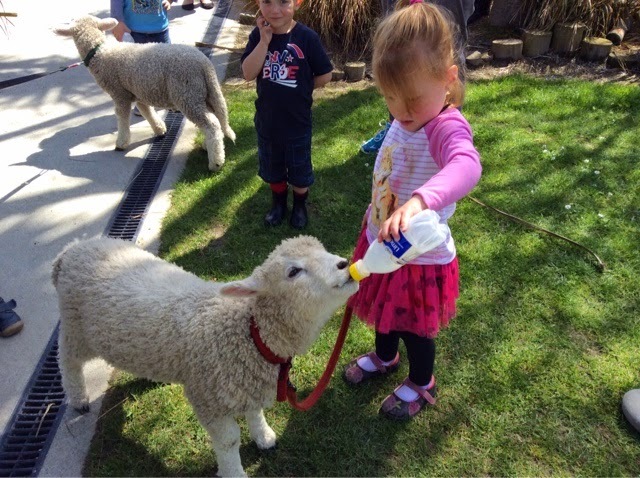 Apart from eating the silverbeet, they were well behaved. 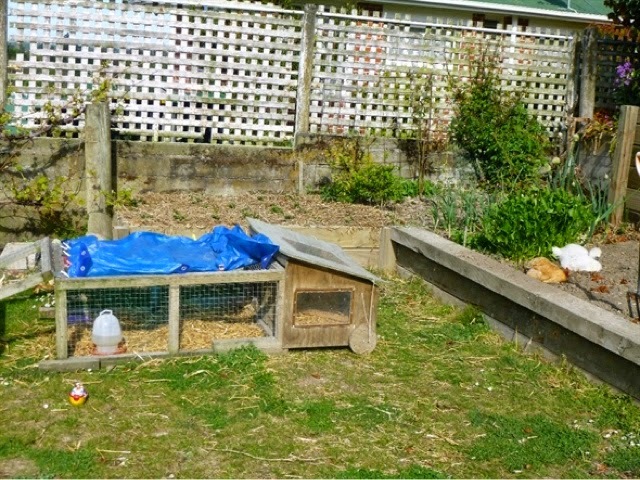 Both Ben and Josh enjoyed having the hens here, they helped each day with feeding and putting them away.After a few days we started getting eggs each day. Ben and Josh ate the eggs on toast for breakfast. Yum! 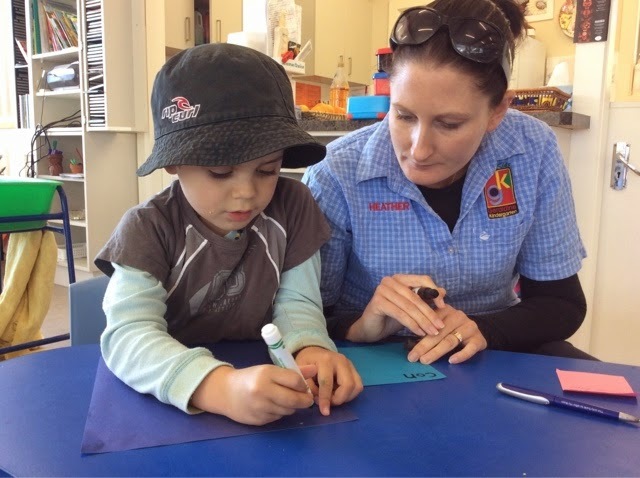 Sharing experiences between home and Kindergarten strengthens the partnerships we have for children to learn and grow to their potential. Tumeke to mahi! Awesome work! Haere mai, afio mai, aloha! Welcome back everyone! We are open again on Monday 13th October. We hope everyone has a had a fantastic holiday. Please remember with the warmer weather and high UV rays, we need to be sun safe. 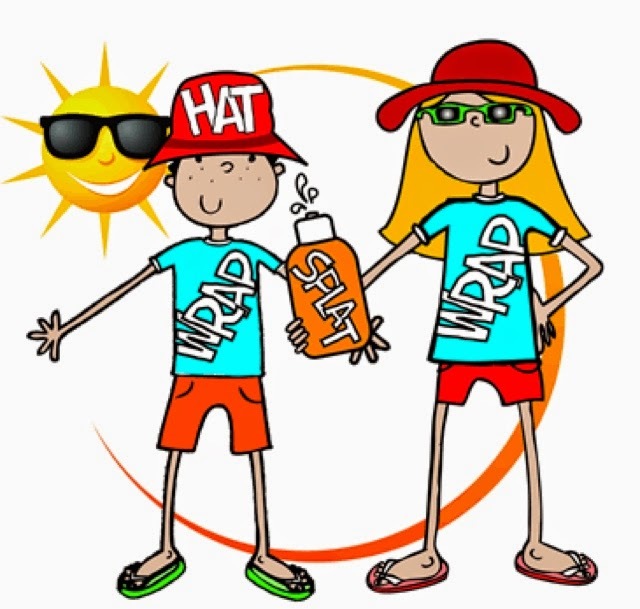 Please remember to send a sun hat along that will keep your child's face and neck shaded. Tip: keep a bucket style hat in the front pocket of your child's Kindergarten bag. Apply sunscreen on your child before arriving. 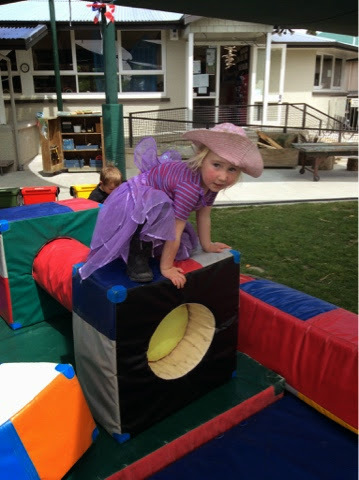 We do have some sun block and spare hats at Kindergaten if needed. Also please dress your child in a t-shirt, not singlet. Keep their shoulders covered.